Topic: Set axis labels in 10th power. Re: Set axis labels in 10th power. We have posted one issue regarding the axis labels and we will still waiting for your response. So kindly provide the any solution regarding this. we have also attached a demo for your reference. Topic: Power Values are showing too far in the Bottom-Axis. As per your suggestion, we are sending .net demo project that reproduces the same problem. This will give you the clear picture of what the actual problem is. Please suggest how we can resolve this issue. We are currently working on TChart .Net 2012. We are using legend scroll bar in one of our projects. We just wanted to confirm that if legend scroll bar is scrolled to the bottom then is there any way that we can pro grammatically reset its scroll position to 0 ? 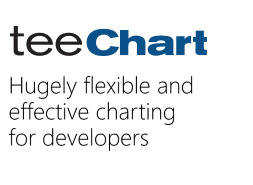 "DesignKey"="Steema.TeeChart.TChart is a licensed component." as mentioned in Tutorial 17 ..